Denise Bloch was born on 21 January 1916, the only daughter of Parisian Jews Jacques and Suzanne Bloch. She grew up in the capital with her three brothers, Jean‐Louis, Jean‐Claude, and the youngest, Jean‐Pierre, eight years her junior. When war came Jacques, Jean‐Louis and Jean‐Claude served with the French army: her father and Jean‐Louis were taken prisoner, but Jean‐Claude returned to France and later joined the resistance. Over the next two years Denise gained her first experiences of leading a secret life, as she, Jean‐Claude and their mother adapted to living as Jews under Nazi rule, using false papers and constantly changing addresses to avoid police and Gestapo attention. By the summer of 1942 the situation in Paris had become extremely dangerous, and the family decided to move to the relative safety of Lyon, then still in the southern "free" or unoccupied zone of the country. They left at the right time, just evading the Vel d'hiv round‐up: one of the worst atrocities in the city's history, it resulted in the deportation of more than 12,000 Jews to the death camps. Adopting the surname "Barrault", Denise, Jean‐Pierre and her parents (her father had been released from captivity the previous year) were safely smuggled across the demarcation line and arrived in Lyon on 17 July. Denise's underground career began the following month, after a meeting with local resistance chief René Piercy. He introduced her to Jean Aron, a Jewish engineer for Citroën who belonged to an SOE network run by Philippe de Crevoisier de Vomécourt, an aristocrat living at a country house near Limoges. Philippe was an invaluable organiser for SOE's French section, receiving incoming SOE agents and building up lines of communication with small groups reaching from Le Mans to Marseille. As Aron's assistant, Denise began delivering messages across the network, a tiring and often dangerous job. To improve her cover she faked an engagement to another of Aron's contacts, Dominique Mendelsohn. By mid‐September de Vomécourt's organisation in Lyon had received two new agents, wireless operator Brian Stonehouse and courier Blanche Charlet, but relations within the network were becoming riddled with distrust: Charlet would lunch with Denise every day, but reported that she was a bad influence on Aron, while Denise worried about Stonehouse's lack of security: on one occasion he started talking English in middle of the street, insisting that "after the war you must come to Scotland to see my house". On 24 October Charlet went to drop off some messages for Stonehouse, who was transmitting from a château in Feyzin, in Lyon's southern suburbs. Stonehouse had been at his wireless set in the attic for three hours that morning – easily enough time for them to track his signal down – and a few minutes after Charlet's arrival the French police knocked on the door. They were both arrested; later that day Denise and Aron were walking together in the city when by chance they suddenly recognised Stonehouse in the street, being escorted into a nearby police station. On 2 November, Adrien Hess (known as “L'Allemand”), another agent of de Vomecourt's running intelligence and sabotage groups along the Riviera, was arrested after Denise and Aron had collected his report in Marseille. When they arrived back in Lyon detectives were waiting for Aron at the train station, but fortunately Denise took a different exit and got away unseen. More arrests inevitably followed, and when de Vomécourt was finally taken into custody his network was effectively finished. Denise laid low, finding a safe house in the fishing village of Villefranche‐sur‐Mer, just east of Nice; for some weeks she only ventured out occasionally to visit a salon to re‐dye her hair (she became a blonde after finding out the police had her photograph). Not daring to return to Lyon, she cut her ties and moved to Toulouse in the new year, where a new SOE agent, George Starr, had just arrived. He offered Denise a job working for his own WHEELWRIGHT circuit, setting her up at Agen as his courier. Starr had no wireless operator to contact London and relied on help from the neighbouring PRUNUS circuit in Toulouse, run by 21‐year‐old organiser Maurice Pertschuk. Denise thought he looked like a shabby imitation of French actor Jean‐Louis Barrault and later described him in unflattering terms: "very thin, looks half‐dead, face as if cut in wood, filthy dirty hair falling over his nose, could easily pass as French". They started to meet regularly at a café in the city, but on Monday 12 April he looked more worried than usual. A few hours later he was arrested, and within a week his whole network was put out of action. Without his monthly funding from Pertschuk Starr was penniless, and his only hope was to send Denise to Spain for help. On 29 April she said goodbye to her organiser – she later described him looking a "terrible mess" when she departed – and headed for the border town of Cier‐de‐Luchon. Clad in a short jacket and with bare legs she nearly froze crossing the Pyrenees at night, but after seventeen hours of hiking through the snow she and her two guides thankfully arrived at the Spanish village of Bausen. The police immediately questioned her and confiscated Starr's report for London, but her papers were forwarded to the British consul, who met her for dinner. He gave her authorisation to reach Madrid and Gibraltar, and she arrived in England on 21 May. For many agents, getting out of France took months, and often involved long stays in Spanish prisons. She had made it in barely three weeks. Despite this impressive achievement, Denise's introduction to SOE's French Section turned out to be something of an anti‐climax, as no‐one in Baker Street knew what to do with her. Although she convinced them that Starr needed help, recruiting officer Selwyn Jepson judged that she would be pushing her luck and endangering the lives of others by returning to the field, and advised that she was "too blown" to go back to France. To make things worse, one of the French Section's staff, Nicholas Bodington, began complaining that she was causing a security risk by hanging around their offices at Orchard Court and needed "to be disposed of" immediately, suggesting she should be "let loose into civilian life" and found a job with "something like the Ministry of Information, or the BBC". Exasperated by F Section's objections to sending her back, Denise forcefully argued that she'd lived in Agen for months under the name of "Katrine Bernard" without attracting any Gestapo attention, and if anything Starr was at this moment in more danger, walking around speaking French with an obvious English accent. It took another month before Jepson changed his mind, finally being persuaded that by the time she finished training, her name would have probably dropped off the Gestapo's wanted lists. However, according to another agent she remained contemptuous of SOE and its conduct, only promising to "do her work in the Field to the best of her ability, in the hope that she will live through it and tell us all, afterwards, what she thinks of us". Denise gave up her temporary alias of “Danielle Wood”, and became a new recruit at the end of July under the name of 'Danielle Williams'. At SOE's newly appointed Student Assessment Board at Winterfold House in Surrey, a small team of psychologists, psychiatrists and military staff bombarded her with a bewildering array of psychometric and practical tests, distilling their final scores to a respectable but unremarkable “C+”. Confident, capable and determined, she already knew more about the realities of clandestine life than most SOE instructors. But the medical officers had noted the self‐conscious way she faced more athletic challenges and her stubborn belief that she was physically inferior to other recruits. Their judgment was that she should continue training, but skip the commando course in Scotland and move on to the wireless operator school at Thame Park in Oxfordshire. In late November she went on “schemes” – simulated missions to test her skills working undercover – in Edinburgh, and in the new year she began preparing for the next available mission, being fitted for French clothing and learning her poem code, one of the "ditties" dreamt up by SOE's head cryptographer Leo Marks (Make the most of it/A coast to coast/Toast of it/For what you think/Has been God‐sent to you/Has only been lent to you). At the end of February she attended the parachute course at Ringway airfield near Manchester, which proved the conclusions of the Winterfold assessors: an instructor described how it took "a great mental effort and considerable coaxing" for her to attempt the strenuous ground exercises, let alone confront the real thing. She eventually summoned up enough courage to make one, untidy, descent: after clearing the aircraft she struggled to grab her lines and, drifting backwards, landed almost on her back. Though bruised and shaken, the experience had quashed the worst of her fears, and she was expected to do much better on her next jump. It was a test Denise would never face. Three days later, on the night of 2/3 March, she was instead flown out by Lysander aircraft, being ferried to a landing ground north of Châteauroux in the Indre, in west central France. Sharing the cramped passenger compartment was her organiser, the former French motor racing champion Robert Benoist, who had specifically requested a female wireless operator for his new circuit, codenamed CLERGYMAN. Its objective was to mobilise resistance around the city of Nantes on the Loire River. Like Denise, Benoist was also a seasoned résistant, having previously run the CHESTNUT circuit around Rambouillet south‐west of Paris with fellow ex‐racers Charles Grover‐Williams and Jean‐Pierre Wimille. After a brief excursion to Paris Denise arrived in Nantes and transmitted her first wireless message on 15 March: during her career with CLERGYMAN she would send another thirty, and receive fifty‐two. Codenamed Ambroise (and Crinoline for wireless purposes), she'd been given the cover name of “Micheline Rabatel”, but most contacts soon got to know her as “Line” or “Danielle”. Benoist made good progress in Nantes, and revived several of his old contacts further north including Wimille, former chauffeur Marcel L'Antoine and Bugatti's secretary Stella Tayssedre. Denise also began training Benoist's young son‐in‐law, André Garnier, as a second wireless operator. After the frantic resistance activity that followed D‐Day, Benoist brought the circuit's main members to CLERGYMAN's HQ on 18 June, at the Villa Cécile in Sermaise. That evening a messenger arrived with the news that Benoist's mother was dying. He left immediately for Paris, saying that if he didn't return by lunchtime the following day they should all scatter. For some reason they all appeared to take as a joke, an inexplicable reaction which soon proved to be costly. The next day was dull and wet: Wimille drove Denise to a nearby farm to send a wireless message, and afterwards she walked up the road to the train station in the hope of spotting Benoist or Charlotte, but there was no sign of either. Even at this stage, it seems that no‐one at the villa thought of heeding their organiser's advice from the previous evening. At about 8.20pm they were starting to prepare dinner when they heard the sound of approaching vehicles, and moments later about a dozen cars rolled up to the house, carrying Germans in civilian clothes. According to Garnier, the Germans were already aware of Denise, shouting “Line, Line, où est Line?” She, Charlotte, Mme Tayssedre and Mme Wimille were caught in the kitchen, while L'Antoine, Robert Tayssedre and Garnier were soon handcuffed and escorted away. Wimille had been the first to run and managed to evade capture by submerging himself in the stream behind the villa, where he stayed hidden for two hours with only his nose above the water. Before leaving, the raiders set the villa alight, and the convoy of prisoners watched it burning to the ground as they set off for Paris. Benoist was already in custody, having been arrested the night before. 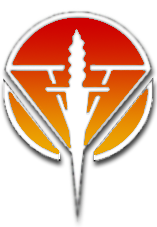 As with other circuit collapses in France, the absence of an obvious traitor immediately sparked off various accusations and counter‐claims, but who actually gave them up was never proved. Some initially thought Wimille could be a double agent, having been the only one to escape arrest, but this seems unlikely. Benoist's brother, Maurice, had had dealings with the Gestapo and Vichy but no evidence was found linking him to the betrayal. Other rumours pointed to those with axes to grind in local resistance groups: there was often fierce competition for arms and money, and this could have easily provoked denunciations. The German interrogator Ernst Vogt read a report to Garnier that identified “Charles” and “Corrine” – F Section agents Philippe Liewer and Violette Szabo – as responsible for giving away Benoist's address. This looked plausible, as Liewer had met Benoist in Paris some months before. However, bogus reports were used to confuse captured agents, and this one contained a simple error: although Szabo had been captured earlier that month, Liewer had not. All those arrested were taken to the Sicherheitsdienst (SD) headquarters on Avenue Foch, but exactly what happened next to Denise isn't clear. John Starr, an F Section agent and long‐term resident at Avenue Foch, later said that Denise was allowed to see Benoist in his cell on the fifth floor, but little more is known about her movements. As a wireless operator she would have been interrogated about codes and the locations of her sets, and one source suggested that she may have personally led the Germans to her radio posts. For the past year the SD had been deceiving London by playing back SOE's captured wireless sets, which resulted in agents being unwittingly dropped to German reception committees, but Denise had no further contact with London. In fact the last CLERGYMAN drop came the day after her arrest, when a new assistant for Benoist, Louis Blondet, parachuted to an enemy reception: fortunately one of the group called out to Blondet in German by mistake and Blondet immediately shot him, making his escape in the ensuing confusion. How the SD knew about the time and place of the drop is open to question, but details may well have been found in messages captured with Denise or other members of the group. After questioning, Garnier and several others were transferred to the Gestapo prison at Place des Etat‐Unis. Some were later deported, but Garnier was released and Madame Wimille managed to escape. Further arrests followed around Sermaise over the next few days, and most of CLERGYMAN's arms were captured. Denise was eventually transferred to Fresnes prison, and on 8 August joined a small group of women including Violette Szabo and Lilian Rolfe, wireless operator for the HISTORIAN circuit. They were put on a train at Gare de l'Est with 37 male prisoners – including Benoist – but kept separate. As they travelled towards the German border an RAF attack brought them to a standstill, but in the confusion the three chained women crawled down the carriage to bring water to the men, who were being kept in much worse conditions, crammed into two tiny compartments. The journey continued by truck, to a flyblown transit camp at Saarbrücken, where they were put in large sheds with other women from all backgrounds; one, Yvonne Baseden, was a fellow agent. The men were destined for Buchenwald, where Benoist would be executed the following month. Ten days later Denise and her two companions were moved to Ravensbrück concentration camp, then to a smaller camp at Torgau, east of Leipzig. Put to work in an aircraft factory, they found the conditions here relatively good, though Lilian's health had been deteriorating ever since leaving Paris. However, their third transfer in October was to a derelict camp outside the gates of Königsberg on the River Oder, where all three of them began to suffer terribly. The building of a new runway required heavy manual labour, and this combined with the effects of the cruel winter and harsh camp regime quickly took their toll. Soon only Violette was able to maintain any hope: according to one grisly, anonymous fragment in her SOE file, Denise had been "suffering from gangrene", and Lilian had been admitted to the hospital, now desperately ill. Clad in the rags of their summer clothes they returned to Ravensbrück in January 1945, this time being sent straight to the punishment block. A few days later all three were taken through the camp to the crematorium yard; by this point Denise could barely walk and Lilian had to be carried. The camp commandant Fritz Suhren read out the execution order sent from Berlin, then an SS NCO shot each of them in turn, in the back of the neck. The bodies were cremated. As the war came to an end, dozens of F Section agents remained unaccounted for, having vanished after deportation to Germany, victims of the "Night and Fog" policy designed to terrorise opponents of the Nazis. In June 1945 SOE received unconfirmed news that Denise had returned to France, but it wasn't until March 1946 that F Section's Vera Atkins was able to obtain details of her last days, having received the testimony of the camp overseer who had been present at the executions. 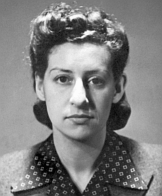 Ensign Denise Bloch received several posthumous awards, including the King's Commendation for Brave Conduct, the Croix de guerre avec palme, the Légion d'honneur and the Médaille de la résistance. She is commemorated on the SOE plaque at Ravensbrück, the FANY memorial at St Paul's Church, Knightsbridge, London, the Brookwood memorial in Surrey, and the F Section memorial at Valençay in France.